Now into its 3rd year, the Les Nouvelles Esthetiques South Africa in association with Les Nouvelles Esthetiques Paris is proud to announce the winners and finalists of the 2007 Les Nouvelles Esthetiques South African Spa Awards. These prestigious awards acknowledge and honour the magnificent world-class Spas in South Africa, which has and continues to receive a phenomenal amount of exposure both locally and internationally. 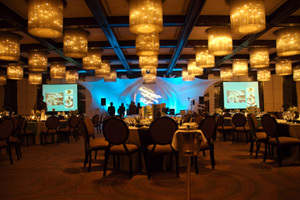 The third Les Nouvelles Esthetiques Spa Awards was hosted on Sunday the 24th of June 2007, at The Sandton Sun InterContinental Hotel in Sandton, Johannesburg. The Les Nouvelles Esthetiques Spa Awards Gala Dinner evening was filled with excitement and glamour as the live band Tuxedo Junction entertained with soulful Afro-Jazz Sounds.The Gala Dinner brought together some of the industries most respected and well-known names as they came together to acknowledge their peers. where the Spa Awards Gala Dinner was hosted. Les Nouvelles Esthetiques Spa Awards Gala Dinner. 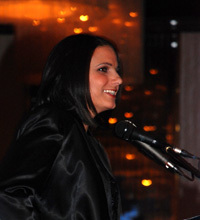 MC for the evening, Leanne Manas from SABC 2 Morning Live added that extra sparkle as she announced the winners and finalists of the awards. Through the success of the 2006 awards, the Les Nouvelles Esthetiques Spa Awards have shown tremendous growth. 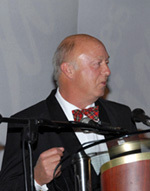 The 2007 Spa Awards consisted of five (5) Categories, with the introduction of the Medi-Spa Category. In addition to the Day Spa, Unique Spa Concept, Safari Spa and Resort/Hotel Spa Categories (including Country Hotels, Guest Houses and Resorts). 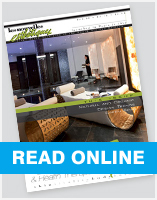 The Spa sector has grown in multiple facets. In order to meet the demands of the ever-growing market, Les Nouvelles Esthetiques now has five (5) categories in the awards to ensure further calibration and refinement, where similar institutions are compared with one another. Ultimately providing the spa client with a greater understanding of what to expect” says Dr Nadine de Freitas, Managing Editor, Les Nouvelles Esthetiques S.A. The Les Nouvelles Esthetiques Medi-Spa Category Finalists were Cape Town Medi-Spa and the Global Aesthetic Centre. The winner of the Medi-Spa Category was Tina Schöltz Skin and Body Care Centre. “Taking part in the Les Nouvelles Esthetiques Spa Awards competition was a very rewarding and motivating experience. The greatest thrill was witnessing the absolute team effort and commitment of all the dedicated staff of the Tina Schöltz Health and Skincare Centre. We hope this award will encourage other small country spas to also strive for excellence - it can be done! This experience has renewed our commitment to the continuous improvement of our spa.”- Tina Schöltz, Owner, Tina Schöltz Health and Skincare Centre. The Les Nouvelles Esthetiques Day Spa Category Finalists were Skin Sense Day Spa, Fairlawns Spa and Riverside Spa. The winner of the Day Spa Category was Saxon Spa and Studio. Zau Spa was announced as the winner of the Unique Spa Concept Category, with Spa Ilâhi, Gecko Glen Relaxation Spa and Kiasoma Retreat and Bush Spa announced as the finalists. “We would like to thank Les Nouvelles Esthetiques for the fantastic award we received! We feel honoured to be part of and associated with the Les Nouvelles Esthetiques Spa Awards. Being a new spa and considering the amount and quality of the spas that participated in the event only makes it so much more rewarding for us.” – Liz van der Merwe, Managing Director, Zau Spa. Above: Ronleigh Gaddin, Managing Director Amani Spa at Ivory Tree Game Lodge upon hearing her spa won the Safari Spa Category. The finalists for the Safari Spa Category were Zebu Health Spa, Camelot Spa at Pestana Kruger Lodge and Hoodia Health Hydro & Spa; The Amani Bush Spa at Ivory Tree Game Lodge was selected as the winner of the Safari Spa Category. The Resort/Hotel Spa Category included some magnificent hotels and resorts, where the finalists included Altira Spa at Arabella Western Cape Hotel and Spa, Hilton Country Estate & Spa and The Spa at Cape Grace. The winner of the Resort/Hotel Spa Category was Pezula Spa & Gym. “We raised the bar when we opened Pezula Spa and will continue to strive to improve our standards, products and treatments and welcome the national and international recognition that comes with winning awards of this stature” - Russel Binks, GM of Pezula Resort Hotel & Spa. There are many individuals within the Spa Industry who go above the call of duty, who stand out from the crowd and through their work the entire industry benefits. Les Nouvelles Esthetiques South Africa, introduced the inaugural Les Nouvelles Esthetiques Spa Recognition Awards in 2006 to recognise these phenomenal individuals. Above: Renchia Droganis upon hearing she won the Humanitarian Award. The Spa Humanitarian Award, is awarded to a person who by definition is actively concerned in promoting human welfare and especially social reform. The nominees for this award were: Carla Young - Young Beauty Emporium, Angola; Lisa Goosen - Tintswalo Lodges, South Africa; Marisa Farinha-Lloyd - Woodlands Wellness Centres, South Africa; Renchia Droganis, from Africology, South Africa; Dr Geraldine Mitton & Isabelle Carstens-Roos, South Africa; and Rudy Baker - Healing Hands International, South Africa. The 2007 award was awarded to Renchia Droganis. The Spa Visionary Award is awarded to a pioneer within the Spa Industry. They are thus an industry leader who has made truly outstanding contributions to the development of the Spa Industry. The nominees for this award were: Patsy Esposito – Southern Suns Hotels, South Africa; Alison Rightford – Sanctuary Group & Moya, South Africa; Ingo Stritter - GocheGanas Nature Reserve, Namibia; Lisa Smit – TheraVine & LS Enterprises, South Africa; Peter Mansfield - Health Spas Guide, South Africa; and Tr. Dr Elliott Ndlovu – Fordoun, South Africa. 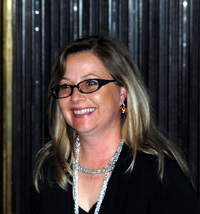 The 2007 Spa Visionary Awards was awarded to Alison Rightford. 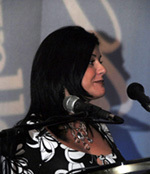 acceptance speech for his joint award with Marisa Cachero, below (making her acceptance speech). The Spa Ambassador Award, symbolises a person who represents the industry, in a thank less capacity. The award goes to a person who has made the industry proud and whose presence in the industry is noted internationally. The nominees for this award were Mandy Hilcove – Hilton Country Estate & Spa, South Africa; Jon Bates – Fordoun, South Africa; Karina Finger – Spa Concepts, South Africa; Erin Limbert - Mangwanani Private African Day Spa’s, South Africa Marisa Cachero - The Spa Consultant, South Africa and Avril Zander-Thal – South Africa. The results were extremely close in this category were a tie in results actually occurred. 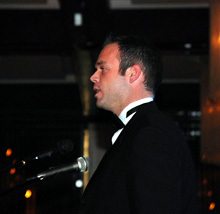 The Spa Ambassador Award 2007, was therefore a joint award and was awarded to Jon Bates and Marisa Cachero. We look forward to hosting the Spa Awards in 2008 and Spa Recognition Awards 2008, as South African Spas and individuals continue to flourish in an internationally growing market place. Winners of the Les Nouvelles Esthetiques Spa Awards 2007 will participate as judges for the Spa Awards in 2008.